(KPAX) The wife of the Montana Highway Patrol trooper who was shot in the head and critically wounded in a Friday shooting in Evaro is thanking the community for the outpouring of support. Lindsey Palmer, the wife of Trooper Wade Palmer, provided a statement for the patrol to share on Monday morning. “I want to extend my sincere gratitude to Montana and Utah for all of their support, and to all of the caring people throughout the nation that have offered prayers and positive messages,” the statement read. 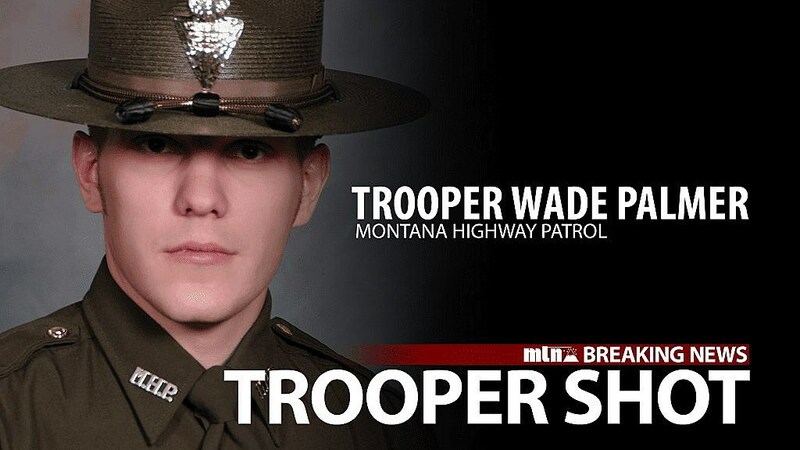 Over the weekend, the patrol asked that anyone who has information about rumors circulating online about Trooper Palmer send them a private message on Facebook so those concerns can be addressed. A GoFundMe account set up to help the Palmer family has already raised over $125,000. You can donate by clicking here. Palmer, along with victims Julie Blanchard and Casey Blanchard — who were shot in a related incident in Missoula — are continuing to recover from the ordeal. Shelley Hayes — the third person shot in the Missoula incident near Airway Boulevard — passed away Friday. Online fundraising accounts have also been set up for Hayes, and Casey Blanchard and Julie Blanchard. The suspect in the shootings — Johnathan Bertsch — faces one count of deliberate homicide as well as three counts of attempted deliberate homicide in connection with the shootings. Bertsch is expected to make his initial court appearance on Monday in Missoula Justice Court. Mark Thorsell is a digital content producer and editor at KPAX and KAJ. He is originally from Connecticut and has worked as a journalist for 25 years.